Memorial Mass for Mary Ellen Young, January 9th, 2015 was held at St. John of the Cross in Lemon Grove. 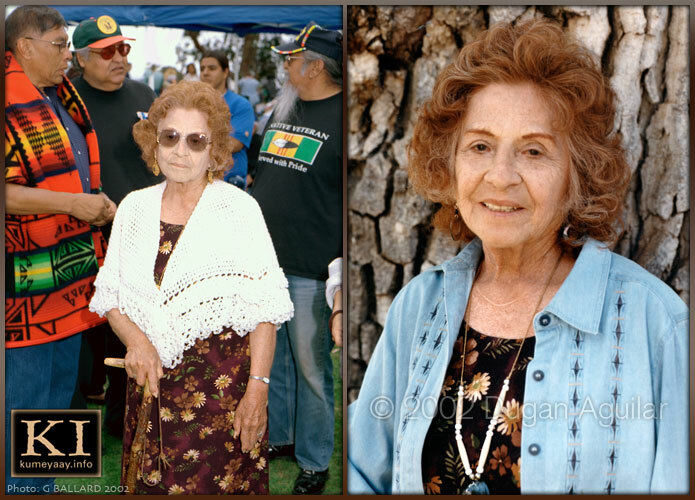 Mary Ellen joined Old Town, Las Amapolas de Oro (The Golden Poppies) and Boosters of Old Town (BOOT) in 1979. She spearheaded the first guided tours in Old Town and developed educational and interpretive programs. She worked as Publicity Chair, Tour Coordinator, Living History Chair and Costume Committee Chair - and was the first docent to wear period attire. In 1980, Mary Ellen was elected to Board of Directors for the California League of Park Associations (CALPA) headquartered in Sacramento, while serving as the BOOT President. She was elected CALPA President and served for 13 years while establishing and coordinating regional workshops throughout the state of California. Mary Ellen and her husband Tom were lovingly called the "Old Town Ambassadors". Mary Ellen and Tom Young served California State Parks for 35 years. Dr. Raymond S. Brandes, founder of the Congress of History, died at his San Diego home on April 16, 2014, at the age of 90. He was a native Californian, a direct descendant of the Machado family, founders of Old Town. Dr. Brandes was a professor at the University of San Diego and a well-known historian of the West. us in celebrating my father’s life,” says Claudia R. Brandes. RSVP is appreciated, but not required; RSVP to: drbrsvp@cox.net. following his memorial service on May 9. A full obituary for Dr. Brandes will appear in the May/June edition of Adelante, on page 4. Services for Jane will be held at the Jamul Indian Village Catholic Church on the reservation - St. Francis Xavier Church, 14191 Highway 94, Jamul, 91935. The Rosary is 7 pm THIS Friday night (all-night wake) and burial services on THIS Saturday at 10 am, followed by lunch (due to current construction at the reservation, allow extra time for travel; parking is limited, so carpooling is strongly recommended).